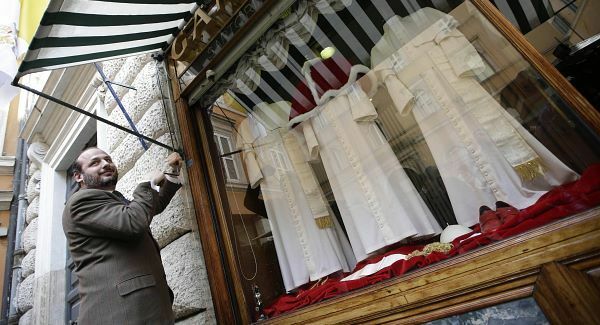 Even before Cardinals met in the Sistine Chapel yet to elect the new pope the family-owned Gammarelli tailor shop that has dressed popes for two centuries was ready. It displayed three sets of white vestments – small, medium and large to be sent to the Vatican for the new pope. The new Pope will choose from one of these three white cassocks, for his first public appearance at the balcony at St. Peter's Square. A white silk “zucchetto,” or skullcap, lay on a bed of red cloth in the window, as did a white sash with golden fringes and a pair of red leather shoes. 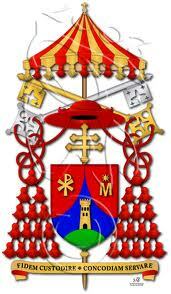 Gammarelli, tucked behind the Pantheon in central Rome, has served scores of cardinals and popes since 1798. 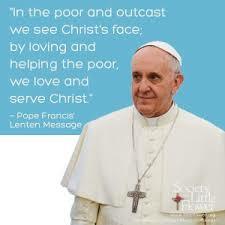 Pope Pius XII was an exception: he used his family tailor.